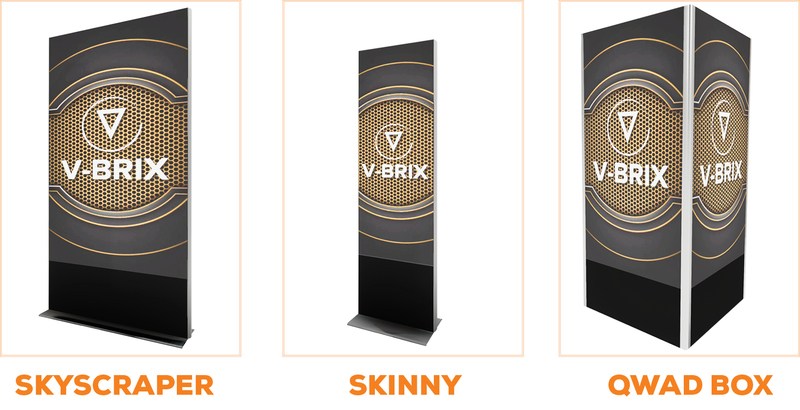 V-BRIX, manufactured exclusively for Upstage Video, is available in a variety of sizes and specs to match unique environment needs for exhibit designers, event producers and production managers. Choose from a catalog of five off-the-shelf designs or customize your own. With V-BRIX there’s no need to be confined to standard aspect ratios. Utilizing state-of-the-art technology, V-BRIX allows the end user to control and promote messages in real time remotely with a push of a button.Showcase social media feeds, Keynote and PowerPoint presentations, live-action video, image files, and so much more.